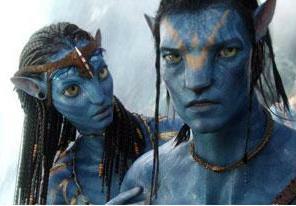 Like millions of people around the world, Mike Robbins recently saw the blockbuster hit Avatar. While he was blown away by the movie’s visual beauty, the out-of-this world effects, and the revolutionary technology, it was the deeper, spiritual message of Avatar that had the biggest impact on him. It made me feel the same way as well. As a spiritual seeker and someone who sometimes arrogantly criticizes “mainstream” culture for being too shallow or not “getting it,” I was both humbled and inspired watching this film—knowing that direct and indirect messages of spiritual awareness and interconnectedness are not only being shown to millions all over the world, but that there is an intense hunger and desire for them, as evidenced by its record-breaking success. As a culture, we are waking up on so many levels. With all that is going on in our country and our world these days, many of us are asking deeper, more meaningful questions about life, work, money, relationships, peace and our planet. Many of these important issues were addressed directly and profoundly in Avatar. When I left the theater, not only did I feel that I’d just seen an incredible movie, I felt as though my life had been altered spiritually. The film is a wake-up call—reminding us of the dangers of greed, unconsciousness, disconnection, insensitivity and arrogance, both globally and personally. It’s also a bold call for each of us to reconnect with that which is most sacred to us, to focus on what truly matters and to remember how connected we are to each other, all living beings and the environment in which we live. • Honor the sacred: A central theme of the film is the way in which the Na’vi (the native species of the moon Pandora, where the story takes place) honor the sacredness of their land—specifically Hometree (where they live) and the Tree of Souls (where they worship). They have a deep sense of reverence for these important places and for all of Pandora. How well do you honor your own space? How much reverence do you hold for where you live, where you pray, meditate or worship, where you work, where you eat, the planet? So often we forget that the sacredness of any place is more about how we relate to it than about the space itself. We have the ability to bring a sense of sacredness to anywhere we are, at any time. • Connect with spirit: The Na’vi worship a mother goddess called Eywa. Eywa is the center of the Na’vi’s spiritual universe, and their reverence for her is displayed in a beautiful and palpable way throughout the film. 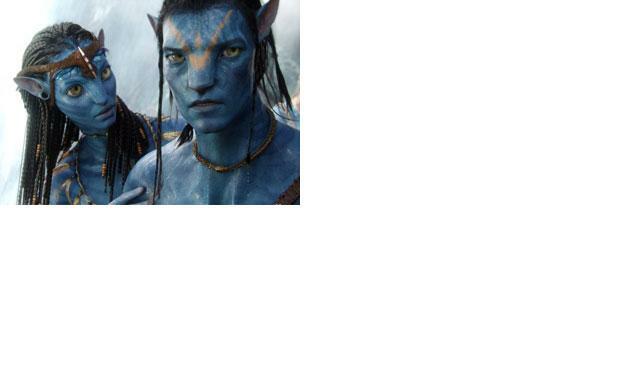 In all that the Na’vi do, there is a direct connection back to their relationship with Eywa. There are breathtaking scenes in the film showing large groups of Na’vi chanting and praying around the Tree of Souls as a way to honor, connect with and access Eywa’s power, wisdom and love. How consciously do you connect with spirit in your own life? We often get so busy that we don’t take the time to connect with spirit in a deliberate and meaningful way in our daily lives. We also sometimes get too caught up in the external aspects of our spirituality—thinking we have to go to a specific service or gathering, practice a particular form of prayer or meditation or do something else externally in order to tap into our spiritual connection. While any of these practices can help us access spirit, none of them are necessary: We can connect with God at any time, in any place and for any reason. • Remember our interconnectedness: The way the Na’vi live in harmony with their land and all living creators is one of the most profound and awe-inspiring elements of Avatar. There is a deep respect and appreciation for all living creators and for all elements of nature that the Na’vi truly embody. A great example of this is how the Na’vi warriors bond with their Banshees (the four-winged creatures they fly around on). Once they bond—which they do both physically and energetically—they are bonded for life and work together as one. The first few scenes in the film where we see the Na’vi warriors connect with their Banshees literally took my breath away and had a visceral impact on me as I sat in the theater. The many ways in which the Na’vi exemplifies this interconnectedness remind us of the universal oneness that is at the core of our spiritual essence. How consciously interconnected do you feel toward other people, living creatures and our planet in your daily life? It’s so easy for us to get caught up in the illusion of separateness—we think, talk and are reminded of all the ways we are different, disconnected and isolated from one another, living creators and the earth all the time. However, most of us have had experiences in our lives where we’ve felt a deep sense of interconnectedness, not just with people we know and love, but with all of life. In those moments, we’ve seen, felt and touched the depth of our spiritual nature. When we consciously tap into this, we remember that, at the deepest level, we are all one. Avatar is a film that not only broke new ground in filmmaking technology, visual effects and box office success, it’s a movie that challenges us in a spiritual way to remember who we really are and why we’re truly here. Mike Robbins is a best-selling author, sought-after motivational keynote speaker and personal growth expert who works with people and groups of all kinds. Robbins is the author of the best-selling books Focus on the Good Stuff and Be Yourself: Everyone Else Is Already Taken. He and his work have been featured on ABC News, in Forbes, Ladies Home Journal, Self and many others. This entry was posted on February 15, 2010 at 1:40 PM and is filed under Avatar, Honor, Mike Robbins, Passion, Spirit, Spiritual, Uncategorized. You can follow any responses to this entry through the RSS 2.0 feed. You can leave a response, or trackback from your own site.